As our country fights an obesity epidemic, many Americans are looking for quality ways in which to take control of their health and feel great while doing so. As of late, more people are realizing the value of taking their fitness seriously. Those who enjoy helping others succeed can realize their full potential when they sign up for quality personal trainer certification in Houston. The Fitness Trainer Academy is here to help people become certified personal trainers all across Texas. With a comprehensive personal trainer courses, students will be provided with all aspects of fitness that will help motivate others to obtain an active lifestyle that serves to provide long-term health and enjoyment. 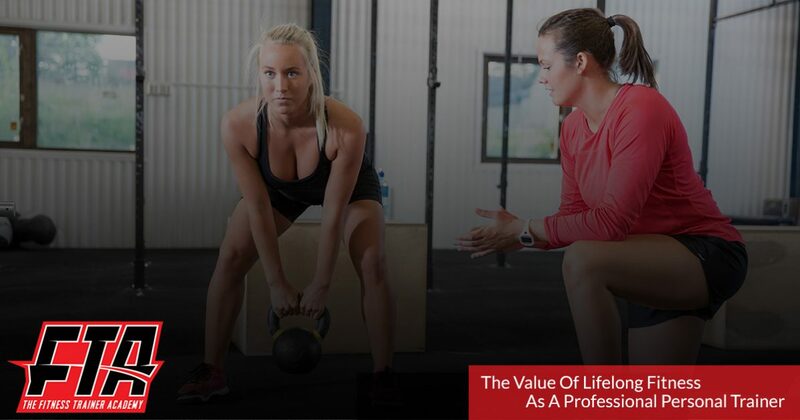 From sports nutrition courses to business management techniques, you will receive all of the tools needed to optimize your career, helping others to thrive in the process. As a personal trainer, it will fall on you to motivate clients to get off of the couch and out exercising on a regular basis. Today, we’ll look at a few basics that can help to illustrate the importance of physical activity, especially when compared to a sedentary lifestyle. If you want to change your career and help others success in the process, be sure to contact us today to enroll! Exercise also helps with hormone regulation and stress relief as well. Studies have posited that working out is helpful in mood elevation, making you feel better and think clearer. Marked improvements have been noted in patients afflicted with a wide range of diseases. Symptom and risk reductions, for example, help to promote a better recovery or a better treatment plan. Exercise is also shown to provide a wide range of preventative benefits. As always, our advice here at FTA is to get moving now over later. In all, the positives of fitness far outweigh the risks of staying on the couch all day. Regardless of how intense the exercise is, clients can benefit from daily fitness activities. Be sure to emphasize that it doesn’t necessarily matter where or how you exercise, as long as you can put the effort in. Experts generally recommended 150 minutes of moderate exercise every week. While not everyone can hit the gym every single day, most individuals should be able to squeeze in a couple of ten-minute sessions daily to keep moving. Inactivity is gaining more and more attention after studies have revealed the dangers of living a sedentary lifestyle. The University of Cambridge, for example, stated that being sedentary can prove to be just as hazardous as being obese. Again, finding the time is often the biggest reason behind why people do not want to hit the gym. Collecting your gear, warming up the vehicle, finding a parking spot, and more can equate to a timespan that is far too great to be implemented into a daily use. As an NASM-certified personal trainer, your focus will be on delivering long-term results to enable your clients to achieve lifelong success. In order to do so, it’s important to focus on minimizing excuses in order to build a healthy habit. Many clients mention a tipping point where working out transforms from a chore into an enjoyable activity. Developing a habit for fitness is essential! If they don’t, your client may leave your excellent services and go back to their sedentary lifestyle. One way to promote habit retention for fitness is to seek out different activities when things become repetitive. Those that go through the same lifting regime will find that, over time, their results are slowing down. Much like your brain, the body can grow accustomed to repeated movements, minimizing progression while increasing frustration. Introducing new exercises and activities can help to break through ceilings in order for your clients to gain more than ever. By making a habit of sleeping enough, eating right, and exercising in different ways, your clients will be equipped with the tools and motivation to lose the weight and get into great shape. Fitness is amazing for many reasons, from weight control to more energy to self confidence improvements. Being a successful trainer is not only motivating clients to take control of their health, but to instill the importance of lifelong fitness measures to provide a plethora of benefits for the long haul. The Fitness Trainer Academy is here to educate and empower you on your path toward becoming a personal trainer. From sports nutrition to business management, we’re proud to provide the best personal trainer certification in Houston, San Antonio, and Pflugerville. Contact us today to learn more or to enroll in our next course!